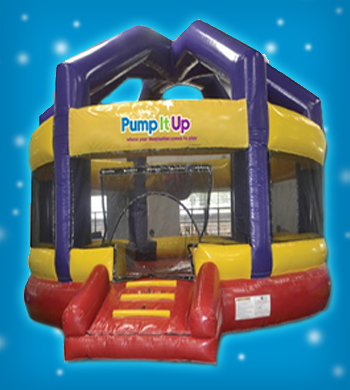 Come check out our new and exciting inflatable! Calling all Daredevils! Daredevil island is an ascending obstacle course, slide with Free-Fall jumping platform combination unit designed to look like a rocky island. This island is filled with adventure for daredevils young and old. 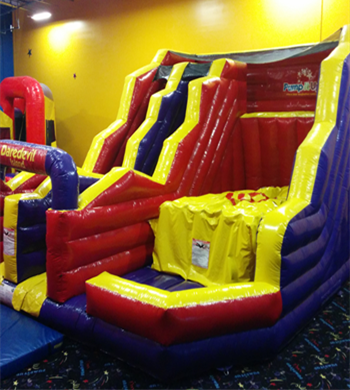 Will you slide down the 12 foot slide or jump into Zero-Shock landing bag? The choice is yours! Want a workout? 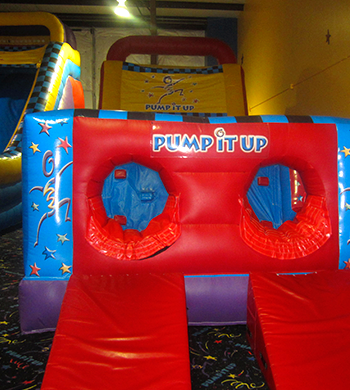 Racing through this obstacle course leaves children and adults exhausted at the end of the party. 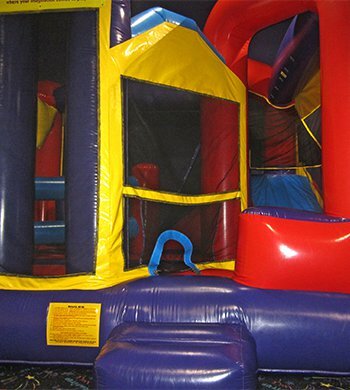 Obstacle course races are organized with request of the party host. All children get a prize. No extra cost! 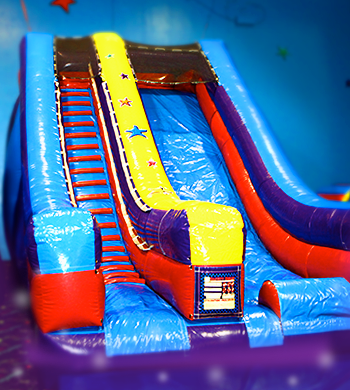 Get your gears turning on these 20' Single slides in arena A and B. We see some incredibly happy faces coming down this slide! For the younger players. 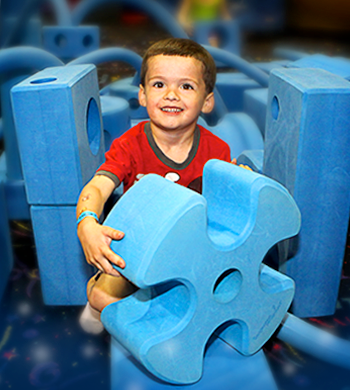 It offers a slide, a basketball hoop and a series of challenges! As the Wrecking Ball swings towards you, try and grab it! Then hurl it at another player, trying to knock him or her off.